Searching for your next Data Center? Clear Technologies can help! Are you running out of space for your current infrastructure, needing additional security to meet regulatory compliance or coming to the end of a current colocation contract? Organizations of all sizes are realizing financial savings through the efficiency of colo as well as additional security, resiliency and reliability that purpose-built colocation facilities provide. This is not a new concept for many companies; however, Clear Technologies can assist you with planning for your next colo or help optimize your current environment. Clear partners with data centers across the globe to provide colocation space ranging from a single rack to fully dedicated data center spaces. 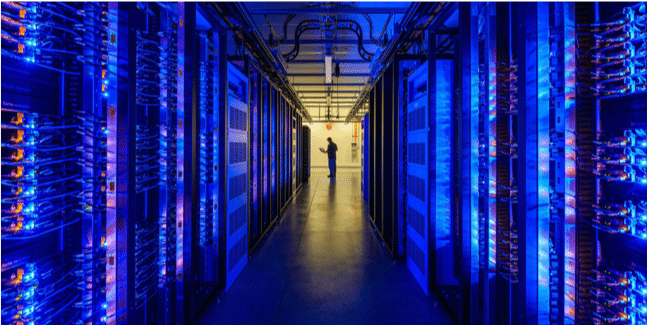 While many people today consider colo as simply floor space, power, cooling, and bandwidth in a provider’s data center, there are many other services these providers can add, which Clear Technologies can help you navigate. These services can include various levels of remote hands, managed services, backup as a service targets for solutions such as Veeam and IBM Spectrum Protect, private cloud services and even cloud connect capabilities such as AWS Direct Connect, Azure ExpressRoute and IBM Cloud Direct. Colocated data centers also offer more in terms of reliability, availability, security, and efficiency than many organizations can afford themselves. These spaces have many carrier options with redundant paths to many, dual fiber paths, and dual power sources, meaning they offer protection against network or power failures. Clear partners exclusively with Enterprise-class data centers which offer various compliances (SSAE 16, PCI, HIPAA, NIST, etc.) and more than 99.9% SLA’s for uptime. Clear is also partnering offering their own unique spin on colocation creating even more efficient data centers for the future. These data centers offer dynamic infrastructure services including variable rack densities from 1-50kW in the same row, adaptive facilities for rapid provisioning and growth that is not dependent on what other companies are near your space, and economic flexibility including utility-based pricing models to bring cloud economics to colo. There are hundreds of potential data centers out there with a variety of specializations and niches. By working with Clear Technologies, we can align your goals as an organization with the colocations that best suit your needs. Clear has over 25 years of data center infrastructure experience and has the team and partnerships that can assist you in finding the right space, developing a migration plan, physically moving the environment and standing up your new data center efficiently with as little impact to your organization as possible.